In time for the new football season Championship side Preston North End have recently renovated their main hospitality suite, The Great Room. As the club was looking to provide the final touches to the improvements, they turned to Sports Photographic Archive - Colorsport (www.­colorsport.­co.­uk) to provide them with some large format high quality prints of former Preston players. Colorsport's football photographic archive stretches back to the late 19th century and so they were able to provide Preston with a superb choice of images, both old and new. In their final selection the club chose images of Ian Bryson from 1994, Sam Allardyce from 1987, Bobby Charlton from 1974, Alan Kelly from 1962, Joseph Marston from 1952 and Bill Shankly and club legend Sir Tom Finney from the 1946/47 season. "Colorsport provided us with some fantastic historical images for prints in our recently renovated major hospitality suite, The Great Room. This year the lounge has been relaunched as 'The Greats In The Great Room' with some big name former guests already visiting us such as world cup winners Geoff Hurst, Gordon Banks and Nobby Stiles as well as footballing luminaries such as Tommy Docherty, Bruce Grobelaar and Peter Bonetti. 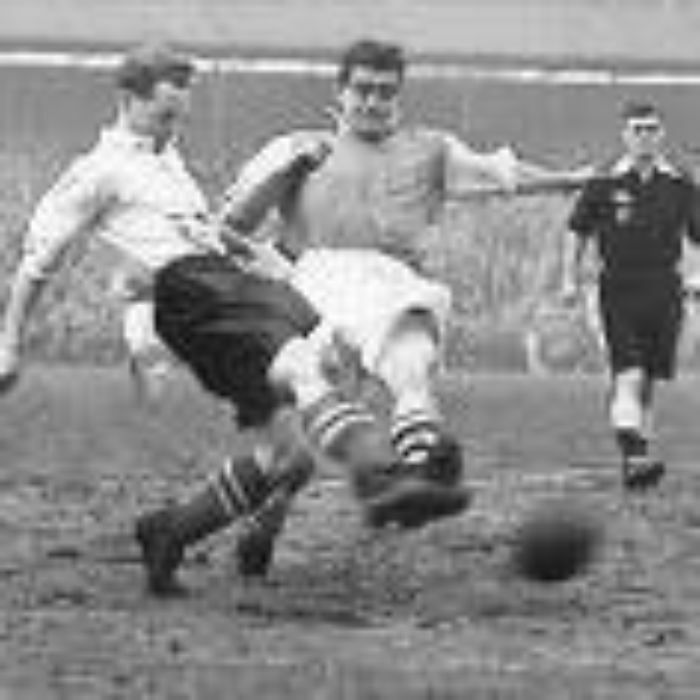 The images that Colorsport have provided add some great moments for PNE, featuring great players and add to the history and ambience of the facility.""